With the exception of the soon-to-be-released, limited production, Scion tC Release Series 10.0, and one final display at the New York Auto Show, Scion is pretty much history. Even though the brand will be no more, some of its cars will live on. The most exciting of the bunch – the Scion FR-S – will now wear a Toyota badge. The name is also changing, moving away from FR-S. Rather. The car is going to live on as the Toyota 86, and we’ve just received the first official information and images of the new 86, along with confirmation that it will debut at the New York Auto Show along with the Toyota C-HR Concept. So, will the 86 be all show and no go like the FR-S, or will Toyota step its game up and make the 86 the driver’s car it should be? Well, Toyota did mention some upgrades, but you’ll have to keep reading to find out more about that. The Toyota 86 will hit Dealership showrooms this fall, but before then – and before its debut in New York – let’s take a good look at the pre-release materials that Toyota sent our way. Update 08/22/2016: Toyota has announced pricing for the 2017 Toyota 86. Check out the "Prices" section below for details. While the changes to the body are significant in some areas, the car is still recognizable as the FR-S – or BR-Z, if you’re a Subaru fan. 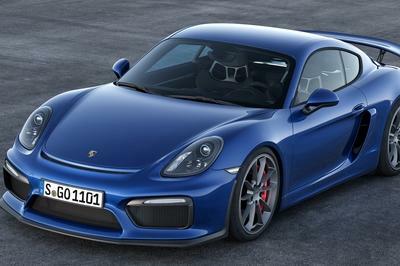 Up front, the hood is the same as it was on the FR-S, and the front fenders are still elevated above the wheel arches. This look is part of what makes the car so sporty. The headlight assemblies look familiar at a glance, but under closer examination we can see that the daytime runners and signal lights are now LEDs. Down below, the fascia has been redesigned with a much larger grille. That grille, in combination with the black trim insert to the top of it and the design underneath, makes the car look almost like it is snarling at you. It’s a pretty cool look for the car and a huge improvement over its appearance as a Scion. Trim inserts have been applied on each corner of the fascia to simulate vents. These inserts sit higher than the inserts on the FR-S, giving the 86 a more dominating look. Moving over to the sides, we don’t see a lot of difference between the FR-S and the 86. The vent and insert on the fenders have changed dramatically, with the insert extending all the way back to the mating crease of the front door. Down below the vent is a new, circular “86” emblem that designates the cars new name. The side view mirrors are the same, as is the design and shape of the side windows, but there is something new down below. 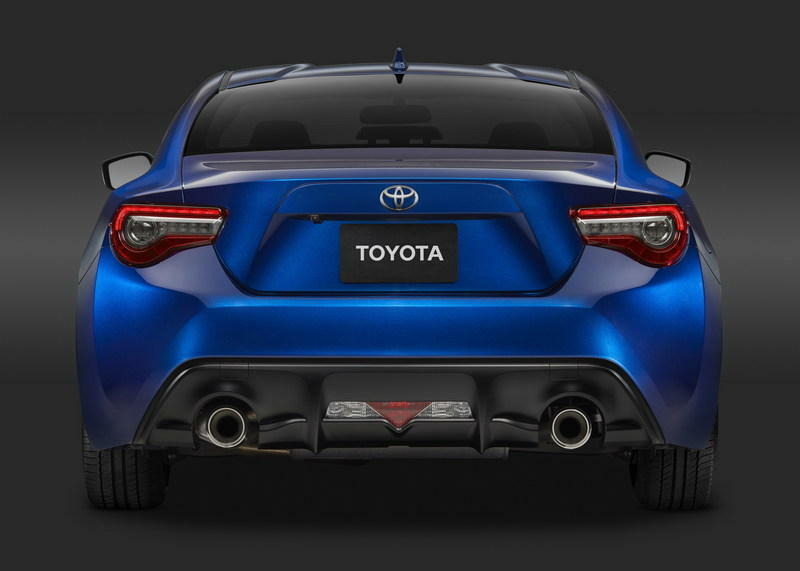 The side skirts on the 86 are now more defined, and actually protrude from the body a bit as they lead toward the rear of the vehicle. The body line created by the new side skirt design continues over the rear quarter, further defining the rear wheel arches. As you can see, the 86 rides on twisted, 10-spoke alloy wheels that look to be 17- or 18-inches in size. To the rear, Toyota was a little relaxed when it came to making changes. In fact, the 86 looks almost identical to the FR-S, save for a few minor things. First, the taillights carry the same shape but are now LED units. The rear fascia has more defining body lines, but, for the most part, looks about the same. Down below, that rear diffuser looks pretty familiar, but it has been revised a bit. The unit on the FR-S was smooth, as to where diffuser on the 86 has more aggressive styling toward the bottom. The addition of the thick body line running the width of the diffuser makes it stand out much more, which is a good thing given how familiar the rest of the rear end is. You’ll find a single, circular exhaust outlet on each side of the diffuser – just like on the FR-S.
All told, the design of the 86 is quite similar to the FR-S, but it does have some significant changes that make it worth looking at. I like the more aggressive styling, but in all honesty, shouldn’t the car have been more aggressive to begin with? To me, the FR-S has always been a car that was well-intentioned, but never received the design or power it deserved. At least, with Toyota taking over, the 86 might turn out to be the car we always hoped the FR-S would be. When it comes to the interior, you might think that you’re looking at more of the same, but that isn’t exactly the case. The interior does have the same general design, but the interior is more defined. The center vents sit a little higher, and pop out more from the dash, and the trim insert around the radio and on the passenger side is sunk deeper into the dash. The instrument cluster in the 86 is the same as it was in the FR-S, but the steering wheel has some new features. It is still a round, three spoke wheel, but there is a set of audio-control buttons on the left spoke, and an insert on the right spoke that could be the future location of further controls. The lower spoke is now a solid spoke instead of having a split in the middle. The entire dash, as well as the door trim panels, are made from a new “Grandlux” material that Toyota claims is soft to the touch. Silver contrast stitching is used to hold together material on the steering wheel, the shifter boot, some of the dash trim, and the material on the seals. Sitting inside the dash is a new Pioneer touchscreen unit that looks more wholesome and fresh compared to the unit that was used in the FR-S. These are all rather minor changes to the interior, but in all honesty, the interior of the FR-S wasn’t that bad to begin with. 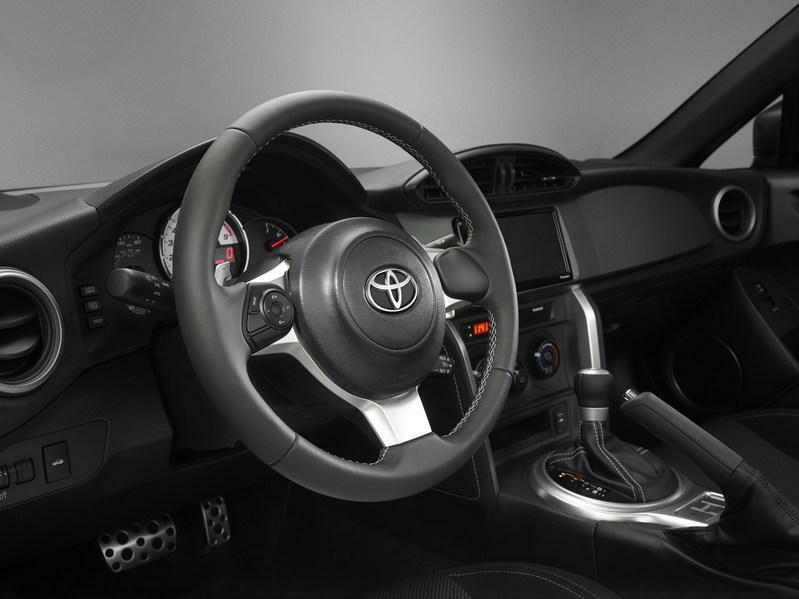 I would have liked to see a revised instrument cluster and center console, but I suspect that will come when Toyota ushers in a new generation for the 86. At least the cabin is still interesting and relevant enough to maintain interest in the vehicle while Toyota goes to work on the next generation. So far, Toyota hasn’t said a whole lot about the drivetrain of the 86. 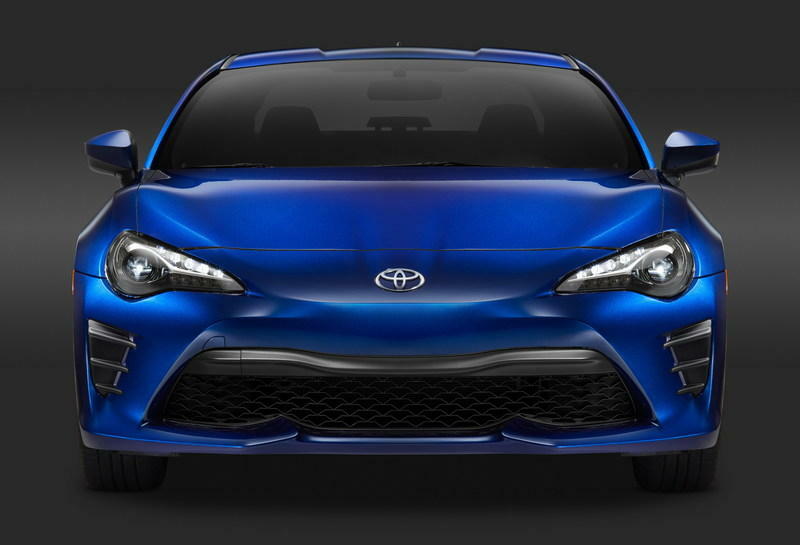 We know that the shocks were fine-tuned and the suspension has a revised spring rate, so the 86 should be more agile and exhibit better control characteristics during more extreme maneuvers. As far as we know, when equipped with an automatic transmission, the same performance characteristics carry over from the FR-S. 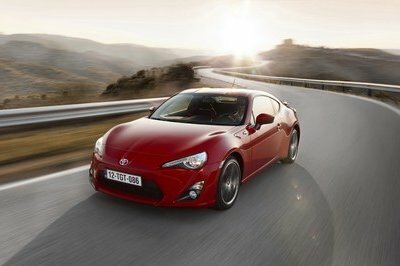 According to Toyota, however, there are some minor performance gains when the 86 is equipped with a manual transmission. Apparently, the manual transmission now has a revised gear ratio that helps to increase horsepower and torque output by five horsepower and five pound-feet – bringing total output to 205 horsepower and 156 pound-feet of torque. Just like the FR-S, the Toyota 86 is equipped with a Torsen limited slip differential that distributes power to both rear wheels. When we test drove the 2015 FR-S, we found that the manual transmission featured short throw and short gear engagement that added a bit of entertainment to the driving experience, and the clutch had a predictable engagement zone, so I would expect the same from the 86. As with other new cars on the market, the 86 is designed so that you only need to know the basics about driving a car with a manual transmission. By that I mean the car is equipped with hill start assist, so it won’t roll backward during takeoff on inclines, and the engine control module controls engine revs during downshifting, preventing the need for double clutching when dropping down a gear. This is cool and all for the novice driver, but it sure takes some of the fun out of driving. Plus, without the need for double clutching or precision clutch work, less skill is needed to row your own gears. I wouldn’t expect to see any change in performance figures. With an increase of just five horsepower and five pound-feet of torque, I expect the 86 to have the same 6.4-second sprint to 60 mph and the same 136 mph top speed. So my question to Toyota is: Where is the 300 horsepower V-6 this car is begging to have? The new 2017 Toyota 86 is priced from $26,255 with a six-speed manual transmission and $26,975 when equipped with a six-speed automatic. As the Scion name came to an end, pricing for the FR-S dropped to $25,205, which means this new price point for the 86 represents a change of $950 for the manual version and just $570 for the automatic. When you consider the manual variant is a tad bit faster than the automatic, it’s pretty nice to see it carry a slightly lower price than the automatic. Now, the Honda Civic in standard form doesn’t really compete performance-wise with the Toyota 86. Going with the EX-T, EX-L, or Touring trim levels will get you a 1.5-liter, turbocharged, four-cylinder that produces 174 horsepower and 162 pound-feet of torque. It’s not too bad, but still somewhat underpowered compared to the 86. The Civic Si, which has yet to be released, is rumored to come complete with a 240 horsepower, turbocharged powerplant that will help the Civic keep up with the 86, but it will likely be more expensive. 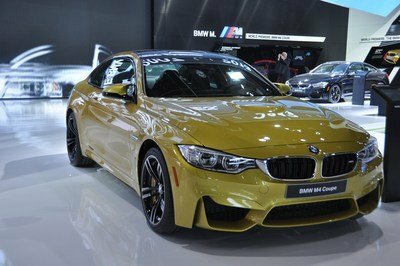 For comparison Purposes, the 2015 Civic Si had 205 horsepower, which would put it right in line with the 86, so one could look to the 2015 model year for a good, slightly used competitor. At the time of this writing, the cheapest Civic you can get with the range-topping 1.5-liter is the EX-T, and it goes for $22,300. Stepping up to the EX-L, which gives you leather seating and 17-inch alloy rollers will set you back $23,425, and the Touring trim with satellite navigation, LED lighting, and a 450-Watt audio system will set you back $26,125. Despite a lack of power, the EX-L would be considered the best competition for the 86 price-wise. According to Car & Driver the civic can hit the 60 mph sprint in 6.8 seconds when equipped with the 1.5-liter. That’s not all that bad for the price. 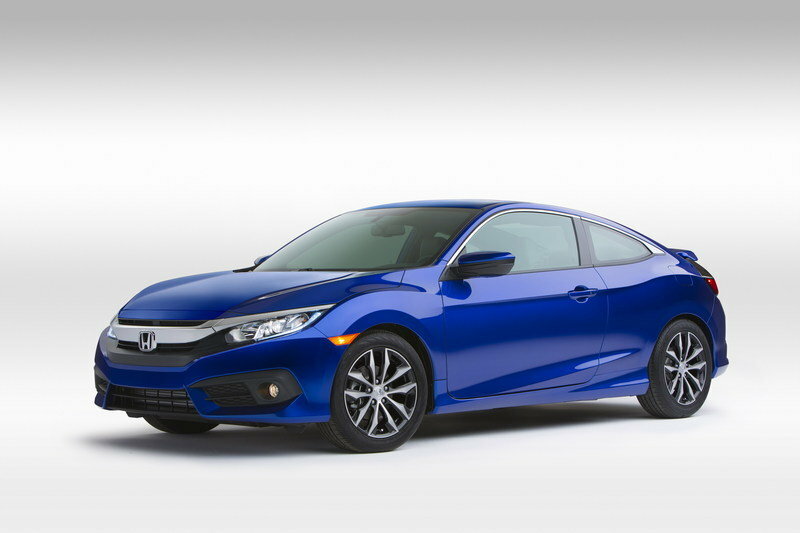 Read our full review on the Honda Civic Coupe here. I know, I know, the Veloster is kind of in a different class than the Toyota 86 – it’s more of a hatchback than a coupe. But, before you feed me to the wolves, just take a second to hear me out. The Veloster has a sporty appearance, decent technology, and a hint of luxury on the inside. The base model is significantly underpowered with just 132 horsepower, but stepping up to the Veloster Turbo R-spec, Veloster Turbo Rally, or Veloster Turbo gets you a 1.6-liter, turbocharged mill that produces 201 horsepower and 195 pound-feet of torque. 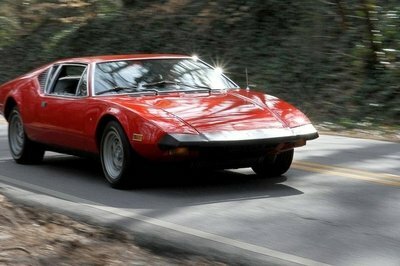 That’s four less horsepower and 39 more pound-feet than the Toyota 86. Starting to make sense now, right? Well on the price front, it makes sense too. The 86 will probably start out around $26,500, which is significantly more than you’ll pay for the range-topping Veloster. For $21,600, you can get the Veloster Turbo R-Spec, which is about equal in performance, price, and comfort. That’s a savings of five grand. Moving up to the Veloster Turbo sets you back by $22,600. The Rally Edition? It starts out at $23,950. As you can see, the range-topping Rally edition is still almost $3,000 cheaper. The Veloster is said to make the sprint to 60 mph in 6.6 seconds, with a top speed upward of 145 mph. So, it might be a different body style, but it is more than worthy as a competitor. 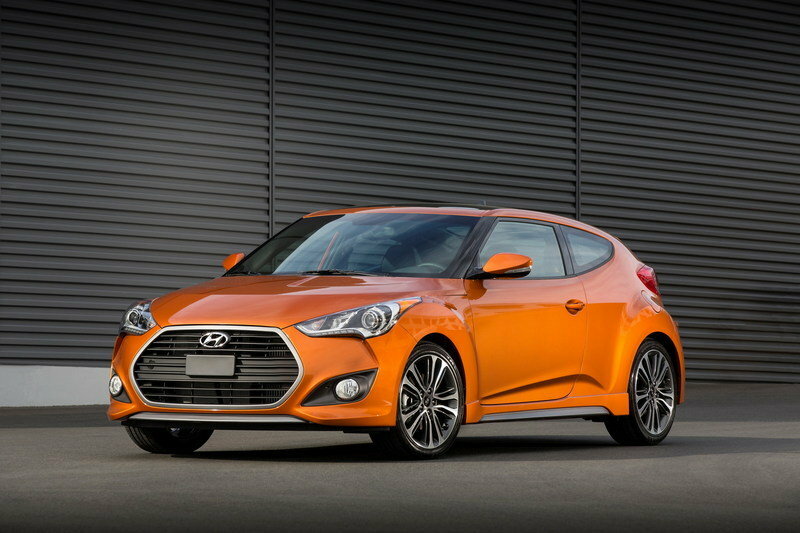 Read our full review on the Hyundai Veloster here. I’ve been pretty hard on Scion in the past, but it wasn’t without reason. As I’ve always said, most of Scions models are basically everyday cars with body kits, wheels, and minor modifications. The downfall in that is that people like to customize their own cars. You don’t buy a car with a body kit on it, you get a base model and make it your own by adding whatever exterior styling and customization you want. Scion models like the Tc and FR-S didn’t give that ability to its owners because the work was already done. I think now that the FR-S has been absorbed into Toyota’s lineup, and sports a new name, things might change for the little coupe that could. I just hope that with the introduction of a new generation in the years to come, Toyota steps up and makes the 86 the car it is meant to be. 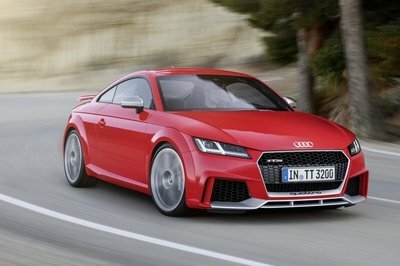 I want to see more power output, and maybe even a V-6 model that could compete with the likes of the Nissan 370Z. Hopefully, with Toyota badging this little coupe will get the upgrades it needs and the attention it deserves. We’ll just have to see how things go once the model goes on sale. Updated 03/24/2016: The new Toyota 86 made its debut at the 2016 New York Auto Show reminding us the days of the Scion FR-S are over. Check the "Pictures" tab for some images taken during the official unveiling.